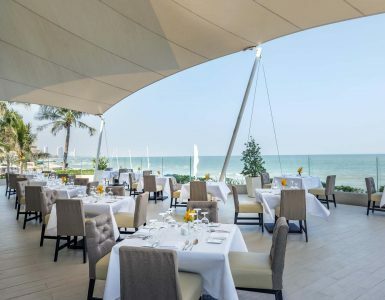 Novotel Hua Hin Cha Am Beach Resort and Spa, a Cha Am Beach Resort offers guests a modern & contemporary accommodation with every room complete with a beautiful sea view balcony. Cha Am Beach is found 25 km north of Hua Hin and has been a favorite holiday and weekend destination for local Thai people for many years. HuaHin is known for its ‘laid back’ mentality which really suits many visitors. The Cha Am beach is long with beautiful golden sand. The coast is lined with Casuarina trees and generally quiet during the week The water is not deep so swimming for all ages is available. You can sunbathe or choose to take cover under the big pine trees. Rent a jetski or simply do nothing but relax, the choice is yours. The main administrative area and old part of town is to the west of Petchkasem Road. Here you’ll find the Post Office, government buildings, police station and train station. As with most Thai towns of this size, there’s a vibrant local market that’s worth taking a look around. A vibrant nightlife is increasing the number of family-friendly establishments offering a relaxed atmosphere and great local and international cuisines. Attractions around a Cha Am Beach Resort include Maruekatayawan Palace, which is the old Royal summer residence. Its teak has been beautifully restored and is certainly worth a visit. It is located 8km south of Cha-am. Constructed in 1923 by Rama VI, the palace is a fantastic example of a raised-floor wooden palace. Cha Am Forest Park is fairly modest, but worth going along to. You can hire vehicles for guided tours which is popular with families and small groups. The park is located on the west side of Petchkasem Road about 1km south from the main intersection. Cha-am is easily reached from Bangkok by train, bus, minivan or taxi. The journey from Hua Hin to Cha Am is around 20 mins by minivan or taxi. 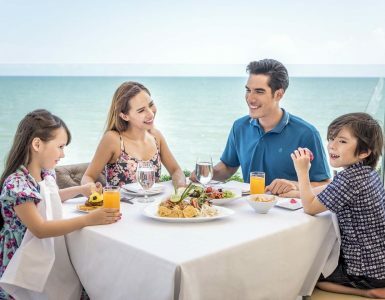 Novotel Hua Hin Cha Am Beach Resort & Spa is one of the best Beach Front Resorts in town.